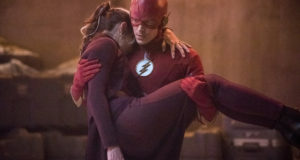 The CW has aired a trailer for the next new episode of The Flash, airing January 19, 2016. On the bright side, starting in 2016, we’ll have DC shows four nights in a row: Supergirl and Gotham on Mondays, The Flash on Tuesdays, Arrow on Wednesdays, and Legends of Tomorrow on Thursdays. Here’s that promo, and if you want to talk about “Running to Stand Still,” drop by our Flash forum! 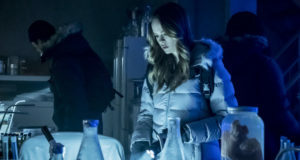 UPDATE: The CW has posted an extended version with a possible title – “Potential Energy” – and some danger for Patty Spivot!